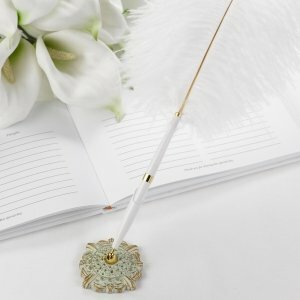 Our fancy pen set includes a filigree base and plume feather pen. 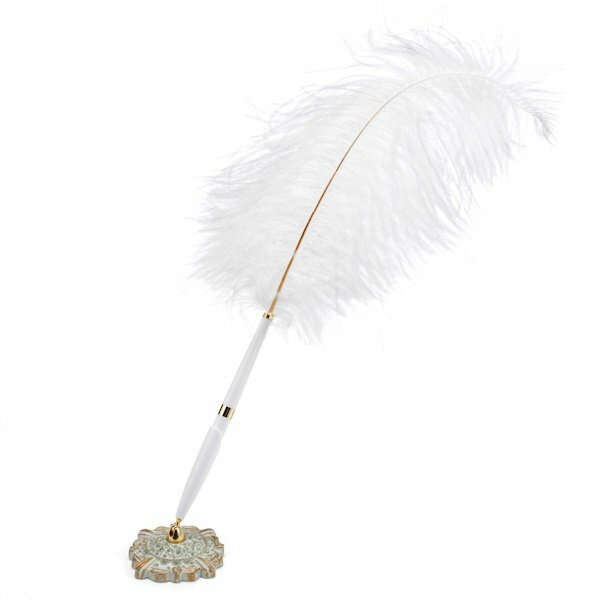 The sturdy metal base measures 2 1/2" in diameter with an antique finish of white and gold tone accents. The center of the base features a swivel holder that arrives with a white plume pen. The pen has a golden center band and writes with black ink. This affordable set is perfect for a golden anniversary party or an antique wedding theme that's accented in gold.